- A 5-stream Senior High School located at the main campus in Akosombo. All the schools use the same crest and motto. The Schools’ crest depicts in picturesque form the ideals of truth, knowledge and power. 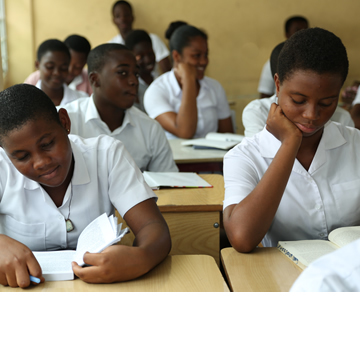 It crystalises the Schools’ aims and objectives. The Schools' motto: TRUTH IS OUR LIGHT (VERITAS NOBIS LUX) aptly sums up the aims and objectives of VRA International Schools.